Spring in the air - time to move on? Auctioneer Nick Cragg and his team at Country Property in Chipping Sodbury near Bristol have resumed property auction sales under their Country Property banner. Nick observes "We offer the option of the speed and certainty of auction to our Residential, Agricultural and Commercial property customers. 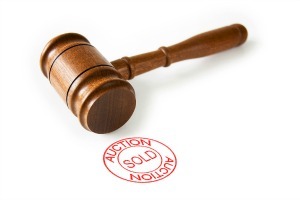 Most auctions will again be held in our local Town Hall, but we can select any venue best suited to the property concerned, and will also soon be offering property auctions online. The current shortage of homes to buy and to rent is slowly beginning to ease as the traditional Spring start gets under way, after Country Property sales increased 2016 year-end to an all-time December high, and sales to First Time Buyers hit an all-time high. “The normal property conveyancing process has slowed property transactions to an all-time slow – typically between 2 to 6 months to get agreed sales through to completion, despite modern technology and availability of information in the public domain. “We at Country Property can overcome these delays by using our property auction sales, because property auctions effect exchange of contracts on the fall of the gavel, and completion of sale is usually scheduled to take place usually 28 days thereafter”. The same time scales apply when a property is sold prior to auction.